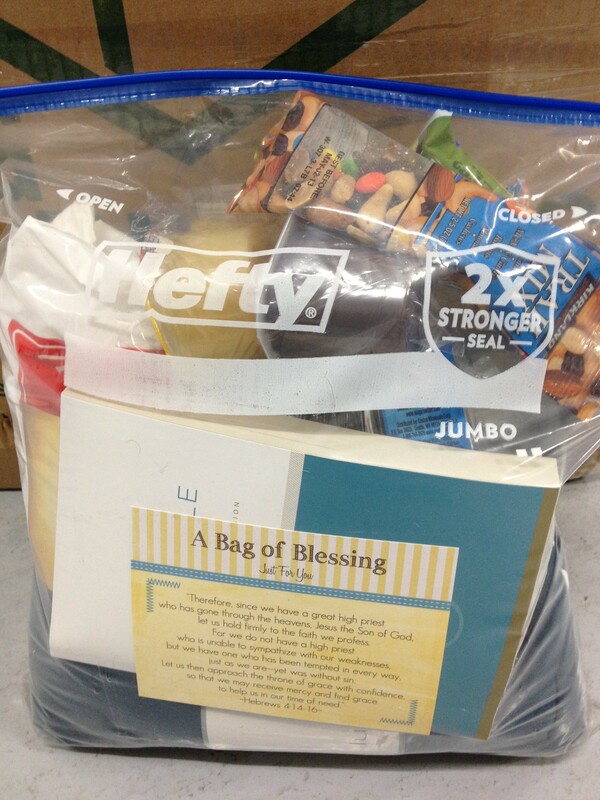 Blessing Bags Assembly Day is just around the corner and we are so EXCITED!! The last of the items arrived this week and Kevin and I were able to assemble the first Blessing Bag as a sample to make sure everything will fit. As you can see, it fits perfectly with little room to spare! 🙂 One down, 149 to go! 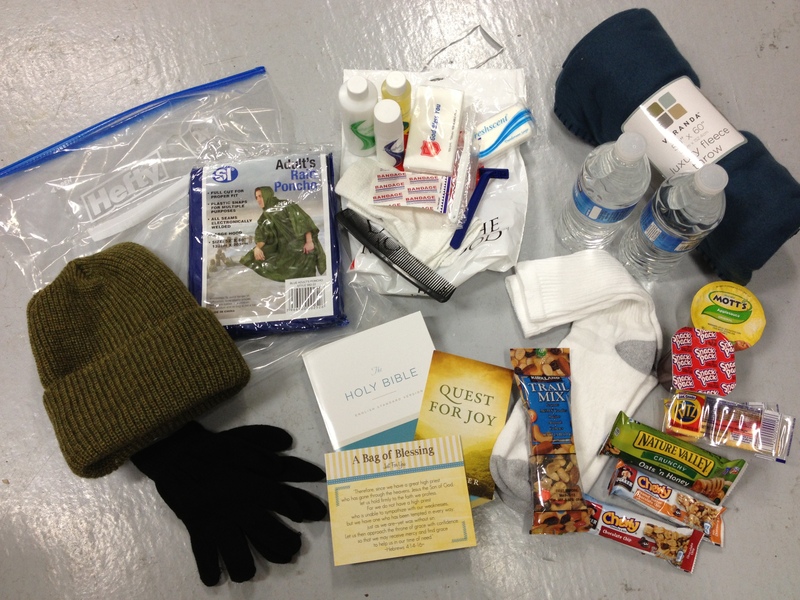 If you are wondering what in the world a Blessing Bag is, the short version is Blessing Bags are extra-large Ziploc bags stuffed with a fleece blanket, cozy socks, water bottles, toiletries, a Bible and Bible tract, non-perishable food items, and more – then sealed with a lot of love! They are designed to be kept in the trunk of your car, ready to hand out at a moment’s notice to anyone in need. 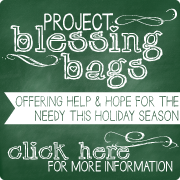 If you want the background information to how Project Blessing Bags began, take a look at our postings HERE and HERE that will catch you up to speed! 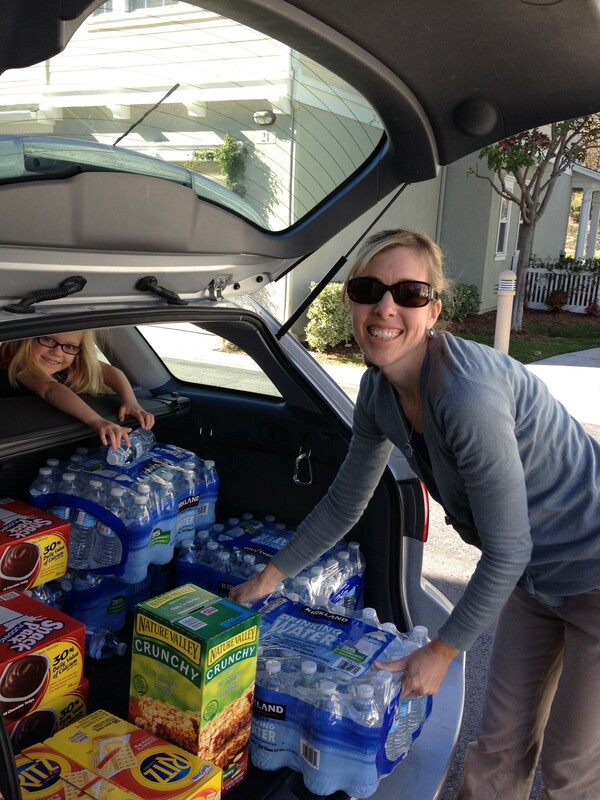 We’ll are ironing out the final details and will, prayerfully, have everything ready to run smoothly as we pack. If you are local to Ladera Ranch, Calfornia, and want to be a part of the fun, we’d love to have you! Let us know you’d like to come by leaving a comment with your email address or emailing us through the “Contact Us” button at the top of the page. We can give you cell phone information to be able to contact us if you have more questions the day of the event. Kids are welcome (and encouraged!) 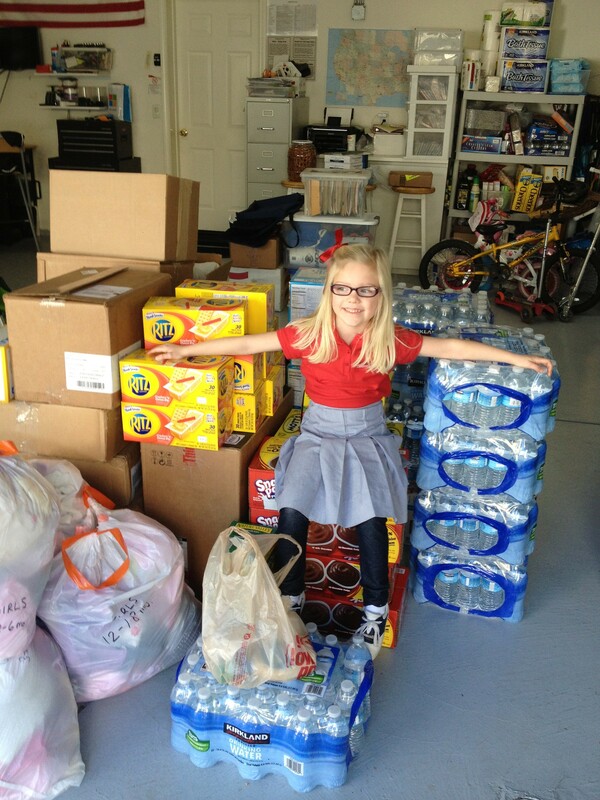 to be a part of the packing! We’d appreciate your prayers as the final preparations are made…and don’t forget to be praying for the 150+ people who will be the recipients of these Blessing Bags! The last couple of posts from Deb and Molly have been all about some of the organizing they’ve been doing for the new year. To see those posts, click HERE and HERE. If you also have a million new Christmas presents to sort through and find a place for, or if you just decided it’s time for some early spring cleaning, I figure at some point, you’re going to need a snack! If you’re anything like me, you ate whatever you wanted over the Christmas break, and your slightly too big jeans now fit a bit snug, so that snack needs to be healthy. 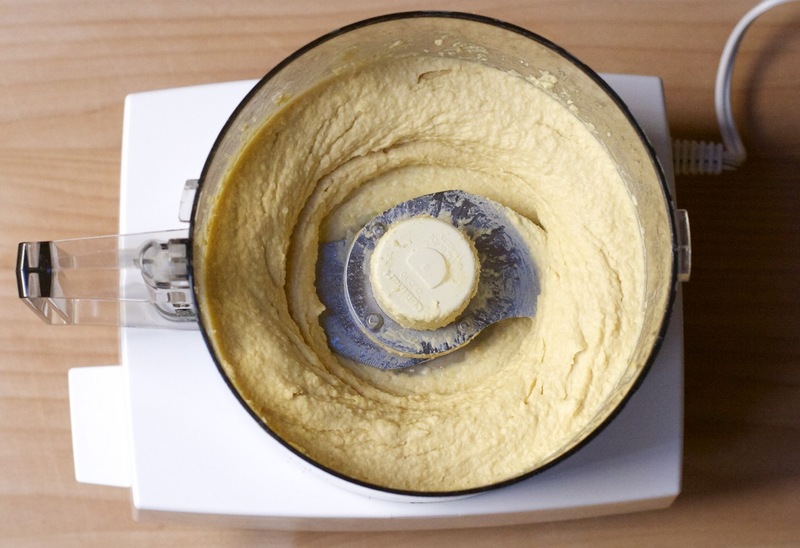 Well, here’s the solution to your snacking needs – homemade hummus! 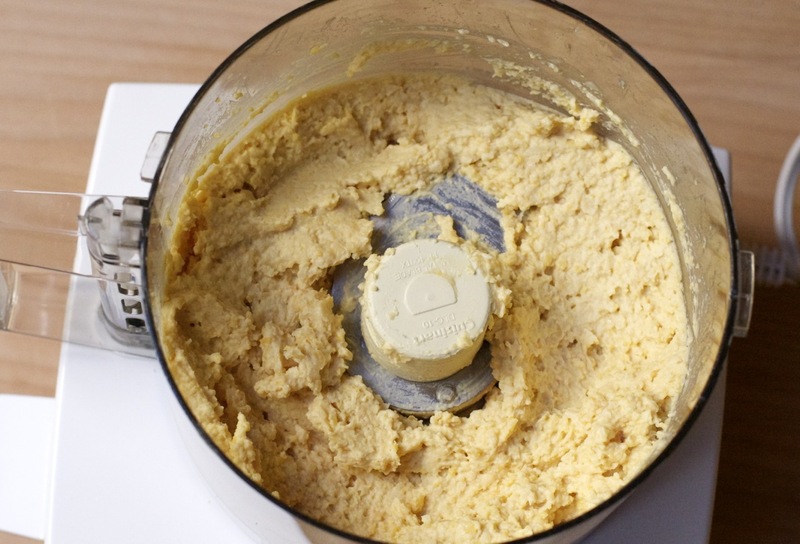 My husband and I both love hummus, but it can be a bit pricey to buy it premade, so we decided to learn how to make our own. After a bit of trial and error, we came up with the following recipe. It’s low in fat, high in fiber, and a great dip to pair with veggie sticks, pretzel thins, or toasted pita bread. 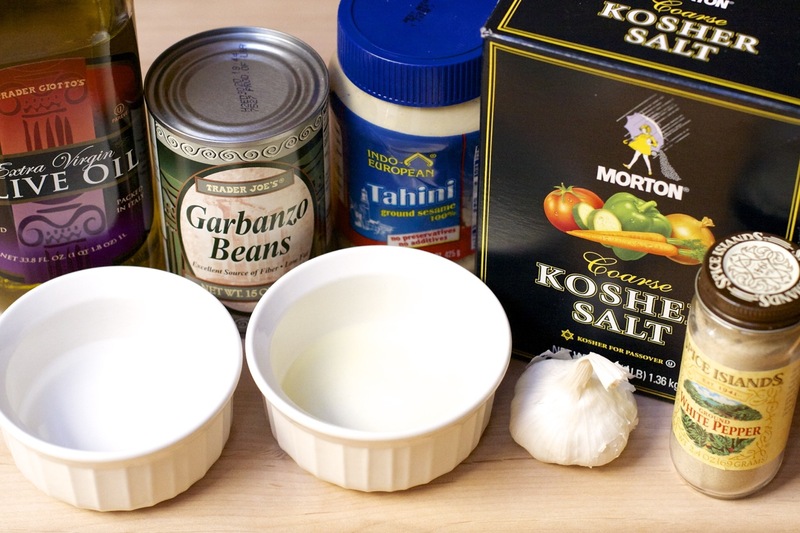 You could also spread it on flatbread or a tortilla as the base of a yummy Mediterranean wrap! 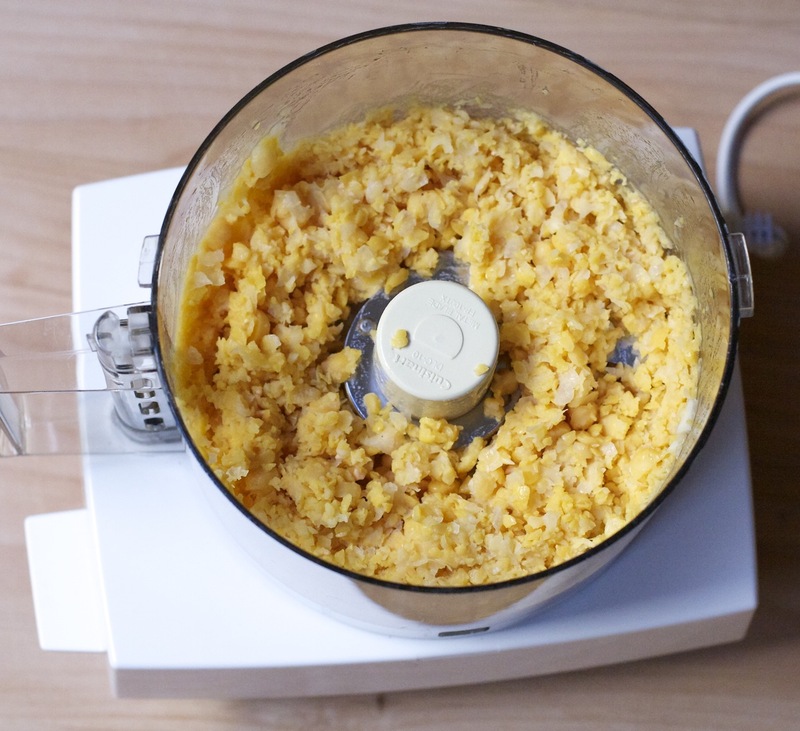 Next, you’ll want to transfer the hummus to a serving bowl, but be extra careful not to cut yourself during this step! To avoid a horrible, stitches-requiring accident, remove the blade first and carefully scrape any hummus off of it into your bowl. 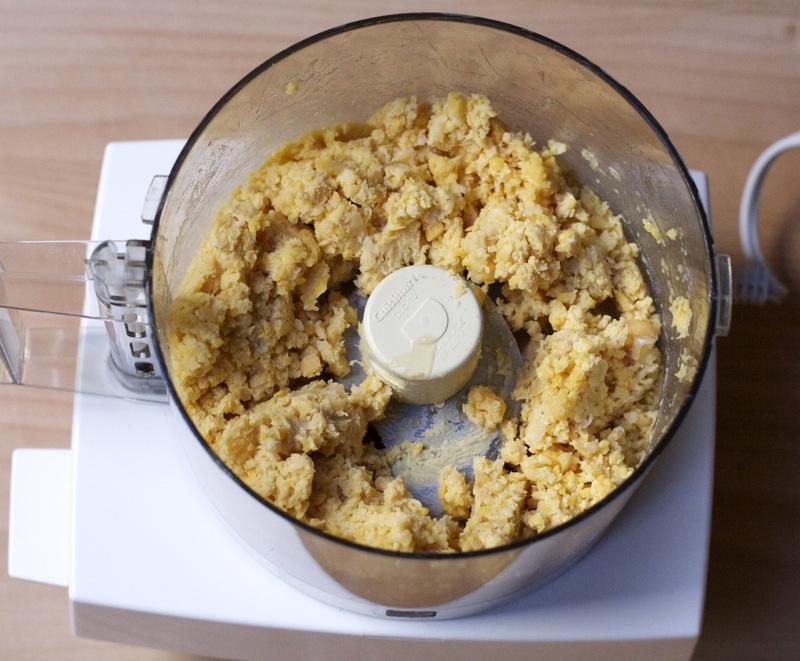 Then, transfer the rest of the hummus from the food processor to your bowl. The hummus is good at room temperature, but we like it even better chilled. To chill it, place it in the fridge for about 1 to 2 hours before serving. Keep any extra leftovers in the fridge. We’d love to hear from you! 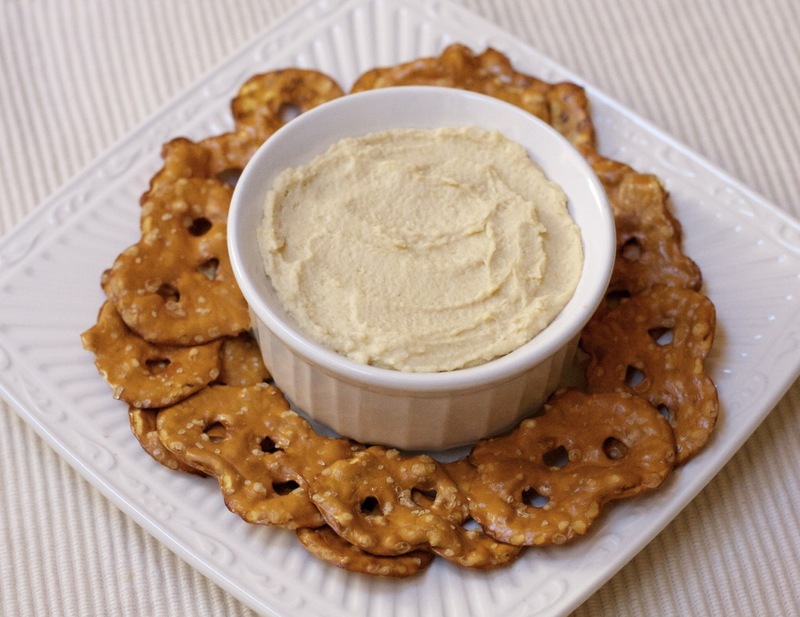 Let us know some of your favorite ways to eat hummus, or whether you have any other yummy healthy snack recipes you like to make! We have just two requests this morning, so I’ll keep it short and sweet! • Meredith has asked us to continue praying for protection and deliverance. Pray that the Lord will surround Meredith with His love and protection! Pray that she would feel physically strengthened and spiritually empowered to accomplish all He puts before her. May she rest in His perfect peace as He fights the battles she faces. • Please pray for Deb and her husband Ray as they are traveling for business. Pray for the Lord to bless their getaway and provide for their son, Cole, while they are away. We enjoyed a great slumber party with Cole last night and he’ll be staying with another friend for the remainder of their trip. Let’s also pray for Deb’s health as she travels. Pray she would not have any issues that would take away from her enjoyment of the trip!